Here Guys, if you are seeking for the West Bengal Law Dept Recruitment 2018 then you are at the exact place because here, we describe all the elaborated information related to the West Bengal Law Officer Vacancy 2018 in the below sections of the post. Interested & eligible aspirants who want to make their career bright in West Bengal Public Service Commission. They may read this full post properly & take all the useful details & then you may apply online for this West Bengal Law Dept Notification 2018 from the official web portal of West Bengal Public Service Commission which is www.pscwbapplication.in. For getting more details, you may check our careerjobs360 official portal and get all the information from here. West Bengal Public Service Commission has dispatched the official notification for West Bengal Law Officer Vacancy 2018 for filling up various Posts of Law Officer in the department. 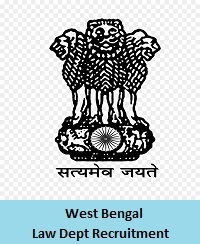 Aspirants who are seeking for the latest government jobs in West Bengal Public Service Commission then they don’t miss this opportunity & may apply online for this West Bengal Law Officer Recruitment 2018 from the official web portal of the department. Interested and skilled contenders may fill the application form and submit it on or before the closing date that is 15th November 2018. Other details about the West Bengal Law Dept Jobs 2018 such as age criteria, academic qualification, application fee, selection procedure, & how to apply are mentioned below in the article. Aspirants kindly go through it. The West Bengal Public Service Commission has invited various application forms from the eligible and skilled contenders for fulfill various number of Posts of Law Officers in the department. Aspirants who are interested in this West Bengal Law Officer Recruitment 2018 they can check the eligibility criteria details from the below sections of the post. If you are eligible then fill the application form on or before the closing date which is 15 November 2018. Candidates must be a citizen of India or such a person of other nationality as declared eligible by Govt of India. A degree in Law from a authorized University. For more details, aspirants must visit the official notification of the recruitment. Minimum age limit of the contenders should be 18 years. Maximum age limit of the contenders should be 36 years. Upper age limit will be applicable for the reserved category of applicants as per the govt rules & regulations. Selection Methodology: Selection of the aspirants will be done on the basis of their written examination and personal interview which is going to be organized by West Bengal Public Service Commission. Pay Scale: Selected aspirants will get handsome amount of pay band of Rs. 15,600-42,000 Per month. How to Apply for West Bengal Law Officer Recruitment 2018? Firstly, interested candidates must have to visit the official website of West Bengal Law Department that is pscwbapplication.in. Now, Go to the recruitment section on the homepage & search the West Bengal Law Dept Recruitment 2018 notification link. After that, click on the relevant link & open it in the next web page. Then you must read the official advertisement for eligibility criteria very carefully. If you are eligible then fill the Application Form with all the accurate details in it. Attach the required document with the application form. Paste the recent passport size photograph and signature on the application. Now pay the application form fee & submit the application form at the given postal address in the official notification. Take the hard copy of the application form and keep it safe for further reference.